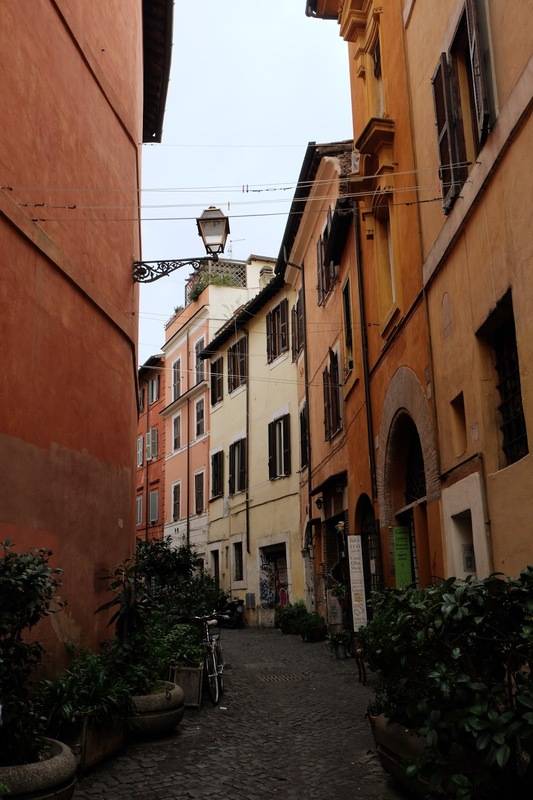 After reading blogs and searching on google, I picked the Trastevere (meaning "across the Tiber") neighbourhood for my stay in Rome. I booked my hotels there only knowing that it was a great place to explore with great restaurants. I didn't delve into much more reasoning. And I was so happy that I stayed in Trastevere because I had the best time in Rome because of it. I LOVE LOVE this neighbourhood! 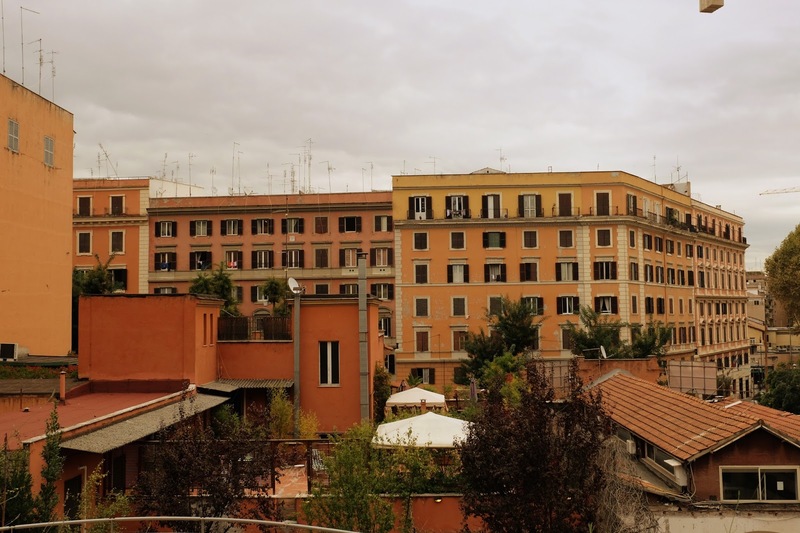 I always felt excited to come back to my hotel in Trastevere after sightseeing all day. It felt like home to me. 1. Less touristy - although Trastevere is not devoid of tourists but it is still less busy compared to the City Centre. It's not brimming with tourists. Although I did spot a few guided tours during the day but it's not crowded as the Termini station area. 2. 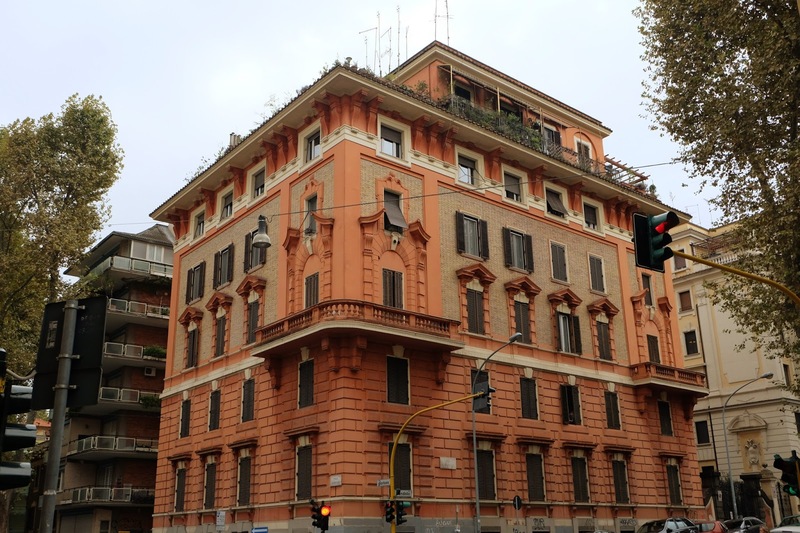 Great location - I didn't know until I arrived in Rome that most of the tourist sites will be walking distance from Trastevere. I was so happy that I didn't have to take the bus/tram all the time since it was always packed. I ended up walking to get to the tourist sites. The Vatican was only a 15 minute walk, the Colosseum about 20 minutes, everything can be reached by foot. It was a great way to see Rome! And if you don't want to walk, you can take the tram or bus to get to the different piazza's and sites. 3. Amazing restaurants - As a person who loves to eat, this was what drew me in to Trastevere and I was not disappointed. 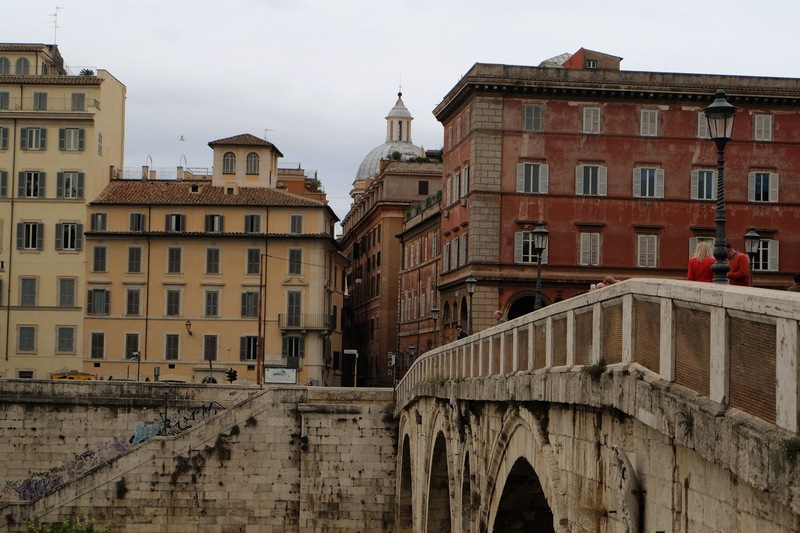 Tons of restaurants are located in Trastevere that serves amazing food for a really good price. I personally loved going to restaurants that were farther away from the main piazza. I found really good restaurants that were tucked in empty little streets but had DELICIOUS food! 4. Superb bars/nightlife - Trastevere becomes more alive at night when bars are open for happy hour. It was fun to go to small bars and sit outside the patio to people watch and drink Aperol spritz! Really good prices too! 5. Budget friendly - You will pay less here than eating out in the centre of Rome. The same for drinks and gelato. You can have a great meal for less than 25 euros for two people here that you can't get in the City Centre. Ditto for hotels! I stayed in a really great hotel for a very good price and it was spacious! 6. Magical side streets - The best part is getting lost in the cobble stoned alleyways. Everything is photogenic here! 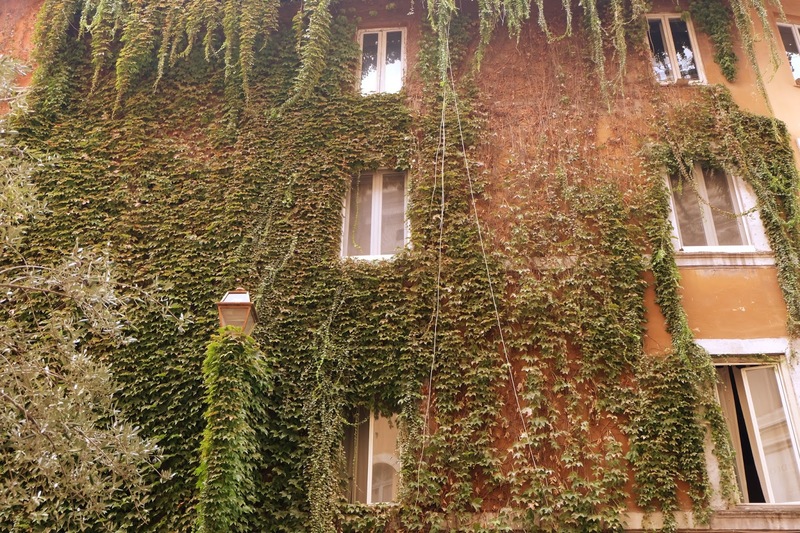 Buildings that are covered in ivy leaves, the cutest cats, pastel buildings, and laundry hanging out. You will discover amazing artisanal shops! It feels like I am transported to a magical place when I walked around Trastevere and it's even more amazing at night. 7. Tiber river - Trastevere means "across the river" and once you do, you will never look back (haha I kid) but you will never stay in a different area in Rome ;) A loved crossing the bridges to get to the other side of the Tiber river as it is lined with maple trees on either sides. It is very picturesque especially at night. A loved strolling along the river especially after dinner. 8. The best gelato - My absolute favourite part of Trastevere is the gelato from Fior di Luna. Trust me it's the best! Do not miss it! The pistachio flavour gelato made me melt. I think I almost cried when I tasted it. This alone should be a reason not to miss this area. 9. Safe - It's very safe to walk around at night. I did not feel scared walking around the alleyways at night. 10. Flea market - there is an amazing Sunday flea market here! Sadly, I missed it when we arrived on a Sunday because jet lag kicked in but I spoke to a fellow hotel guest and she said it was amazing! More reasons to go back to Trastevere. I would love to go back to Rome. It has been a long time ago. The city is like an open-air museum. So beautiful, there's lots to see and do in every corner! Agreed! I love walking in Rome. Sounds like you had such a blast in Rome! I went there the first time I was in Europe, it was a group tour though which only spent a day and a half there - so I don't remember much! You will have to come back then ;) I was there for a few days and I feel like I haven't seen it all.